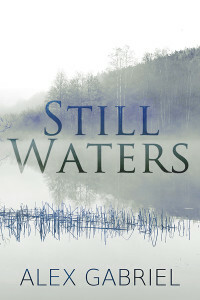 A redheaded, muscular young man with a short beard stands in a lake, a scraggly stand of seaweed-draped deadwood behind him and mountains in the distance. He looks directly at the viewer, wearing a neutral expression. The water comes up to just above his waist, and he is lifting a sturdy white net from the water with both hands. I only have two words for you: ginger merman! Everything else is up to you. I would really appreciate it, though, if you would skip dub/non-con, ’cause I really hate that. First of all, thank you, Kathleen, for the lovely and inspiring prompt― and for leaving so much space for the prompt to grow into a story in my mind. 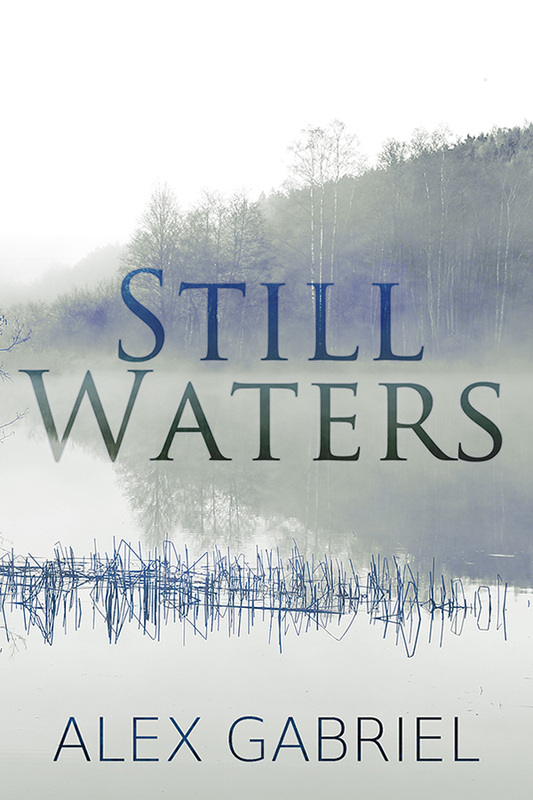 “Still Waters” was betaed by Sonja Cameron and Anna, both of whom helped me very much. I also owe a big debt of gratitude to my long-suffering editor Elizabetta― who patiently endured torture by semicolon― my proofreaders, and all of the organizers and participants of this event. Last but by no means least: S.J. Eller saved my cover and turned it into something that perfectly captures the mood of the story.